Spend two weeks creating virtual worlds while learning about programming! Participants will create stories and computer games using 3D animation. The Alice interface is user friendly and easy to learn; students will begin designing a virtual world the very first day. A memory stick with Alice loaded on it are included so students can continue to learn and work with Alice after the class is over. Participants: Open to rising 6th through 9th grade girls. Cost: $300 per student per session. Fee includes a memory stick with the Alice program loaded on it (students will also save their virtual worlds on the memory stick), and lessons and guidance from our Alice Workshop Instructors. Gabby is a graduating senior at Northwest Guilford High School. She has been a programmer on her school’s robotics team, taken programming at Weaver Academy, and has worked with several programming languages, including VB, C#, C++ and Java. This will be Gabby’s sixth year working with the Alice Programming Workshop for Girls, and her second year as a lead instructor. Gabby is deciding between her college offers and plans to major in Engineering. Suhani is a rising sophomore at the STEM Early College. She has been volunteering at many STEM-related events in her area since middle school. She started attending the Triad Tech Savvy and IT is for Girls Camp at UNCG in fifth grade. Through these events she discovered her love for robots and decided to volunteer when she was old enough. For the past two years, she has served as the session assistant in robotics at the IT is for Girls camp and helped students create solutions to real-world problems. 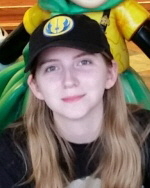 She has also taken part in FRC and FTC competitions. 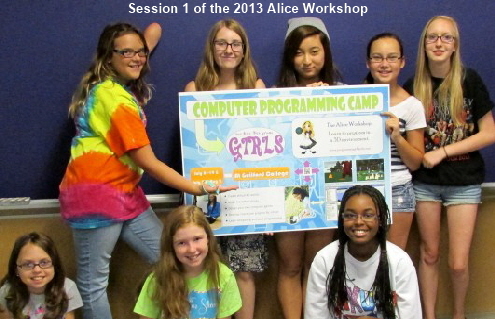 This will be her second year working with the Alice Programming Workshop for Girls. Teaching Assistants are interviewed each spring and will be announced before the workshop begins. Most assistants are previous workshop participants. If you’d like to be considered for a teaching assistant position with future workshops, please email the instructor to be placed on the contact list for next workshop. Aleis Murphy graduated in 2016 with a Masters from the Duke University Pratt School of Engineering. She is now working with IBM in Bethesda, MD as a Technology Solutions Specialist. Aleis has been programming with Alice since high school, and was a co-founder of the Alice Programming Workshop for Girls. Dana Murphy graduates in 2019 with a Masters in Engineering from Stanford University. She will begin her job as a full stack developer with Adobe in San Jose, CA this summer. Dana is co-founder of the Alice Programming Workshop for Girls, and a workshop instructor from 2011 - 2016. Although she is no longer actively instructing the Workshop, Dana has helped to transition the workshop to the next generation of young women helping each other pursue an interest in technology. Claire Laffan is a rising third year student at Yale University. This summer Claire will be working at Fermilab, a particle accelerator laboratory in Chicago. Claire has also been chosen as an undergraduate research team member at the Yale Quantum Institute.. Claire was a TA with the Alice Programming Workshop for Girls for 3 years and a lead instructor for 2 years.